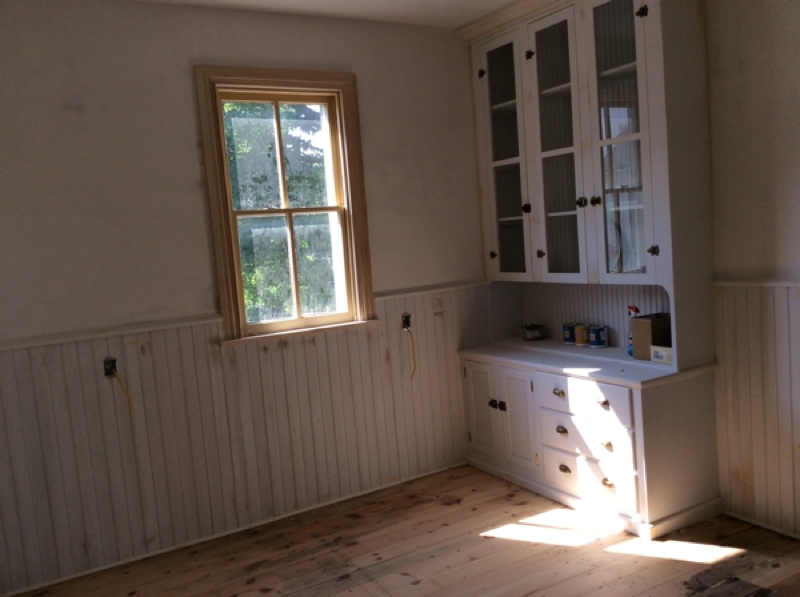 All that remains of the interior restoration of The John Updike Childhood Home are two rooms: the upstairs bathroom and the kitchen, and the kitchen cabinetry has been re-done in the exact “footprints” of the original cabinets. This entry was posted in Restoration news, Uncategorized. Bookmark the permalink.